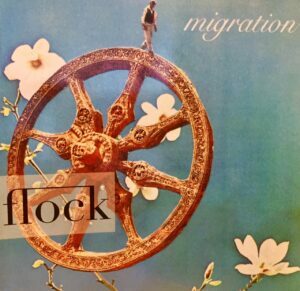 After a bit of a publishing hiatus, I am happy to share that my essay “Flowers of the Resistance” has been published in Issue 19 of Flock Literary Journal. It is a beautiful journal, wonderfully edited by April Gay Wilder, and I am excited to be alongside a diverse array of voices, all meditating on the theme of Migration. I was inspired by seeing the artist Ai Wei Wei’s exhibit on Alcatraz Island, which made me think of all the ways we communicate our experiences through art and the way we live, like beautiful flowers traveling from our native soil to new homes. This entry was posted in Essay and tagged April Gay Wilder, creative nonfiction, Flock, literary journal, publishing by Candy Shue. Bookmark the permalink.